■ In the pouring rain, though the defenders showed their fighting spirit well, the one goal they longed was just too far to reach until the end, and the game ended no score draw. Cerezo missed the 3 winning points. In the 1st half, at beginning of the game, though Nagoya possessed ball a lot, Cerezo defended well, and didn’t allow Nagoya to have any chances. In 16th minute, Gabriel Xavier made a shot after one-two passes with Ryuji Izumi, but Matej Jonjic blocked the ball by his body and Kim Jin-hyeon caught it firmly. Offence-wise, Hiroshi Kiyotake who started as a starting member for this match led the team and attacked the goal. 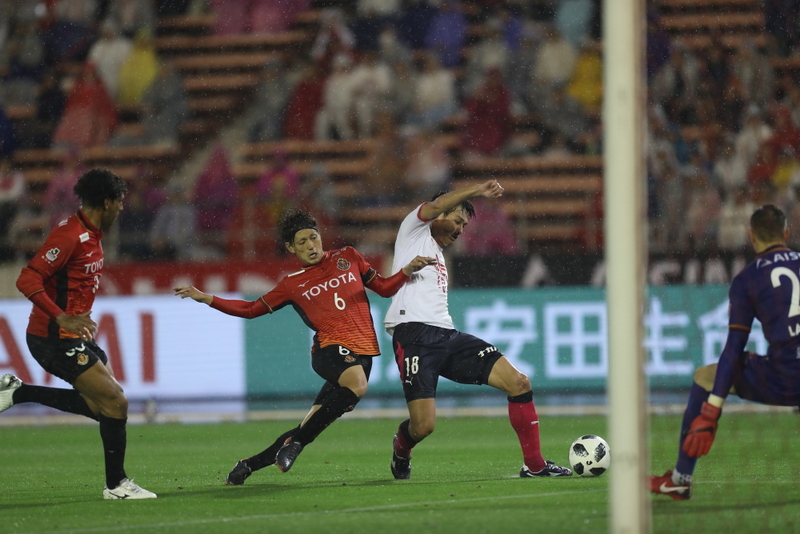 In 13th minute, Kiyotake sent a cross to Toshiyuki Takagi, and also in 18th minute Takagi headed another cross from Kiyotake and Yang Dong-Hyun made a shot. Kiyotake was conducting their attack lively, however, just after 20th minute, an accident occurred. Kiyotake held on his left foot and crouched down on the pitch, and had to retire from the game. After the match, Yoon Jung-Hwan described about Kiyotake’s injury; “It seems (he hurt) the left calf. He may should be visiting a hospital to check.”, we hope it’s nothing serious. After this incident, there was no notable move, and in 43rd minute, Gabriel Xavier’s free-kick was aimed directly to the goal but safely blocked away by Kim Jin-hyeon. Into the 2nd half with instruction from Yoon Jung-Hwan at the half time; “Be conscious about each other’s distance, don’t be too far apart.” Cerezo made Hotaru Yamaguchi as the base player, moved ball around, and created chances. In 47th minute, Kazuya Yamamura received a pass from Yamaguchi and made a shot. Also in 48th minute, Yang Dong-Hyun made through to behind the defender after receiving a pass from Yamaguchi, but it was just about offside. In 58th minute, Yang Dong-Hyun caught goal kick ball kicked by Kim Jin-hyeon, and made a loopy shot from dropped ball, but went over the cross bar. In the 2nd half, Cerezo allowed only one shot to Nagoya and exhibited their solid defence like as a rock. When Jô received the ball at front, Cerezo’s centre back acted calmly, and also other defender joined in and pressed him from two sides. Also against the set-piece taken by Nagoya’s the other weapon Gabriel Xavier, Cerezo made a very clean clear. In this season, Cerezo tends to be losing a goal in the 1st half of away game, however, they successfully blocked Nagoya’s attack in this game. All they wanted was just scoring a goal---. As the match progressed, Cerezo created such mood, however, that 1 goal was so far away to reach. In 71st minute, Takagi went for the cross sent by Riku Matsuda who received Yamaguchi’s through pass, and made through behind the back of defender, but the timing was just off. 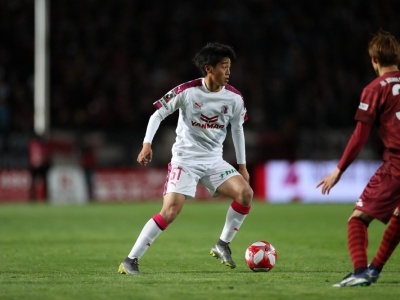 In 80th minute, the substitute Yoichiro Kakitani received a down the line pass from Yamaguchi, and dropped it to Yang Dong-Hyun who made a shot. And in 85th minute, Aria Jasuru Hasegawa of Nagoya received 2nd yellow card and was sent off, that made Cerezo numerical advantage, then into the stoppage time, the biggest chance in this match came upon. Cerezo broken through into Nagoya’s side by fast pace passes from Maruhashi to Yang Dong-Hyun to Kakitani, back to Maruhashi, then Yang Dong-Hyun tried the goal, but denied by the goalkeeper. Under the horrible condition by pouring rain with poor visibility, the defenders worked noticeably hard with tremendous concentration until the end, so Cerezo was desperate to score a goal and wanted to earn the 3 wining points so much, however, as the manager Yoon Jung-Hwan and the captain Yamaguchi both said after the match, all they had was the assignment to work out improving the quality of attack to execute goals. 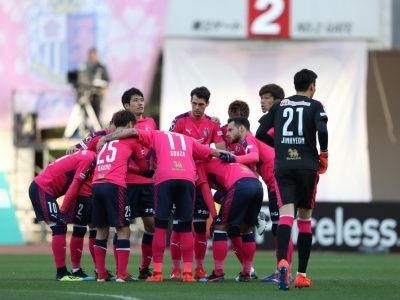 To break through the frustration of earning just 1 winning point from consecutive away matches, Cerezo is certain of victory at the next game, back at the home, the 13th round against V-Varen Nagasaki after 2 days break.